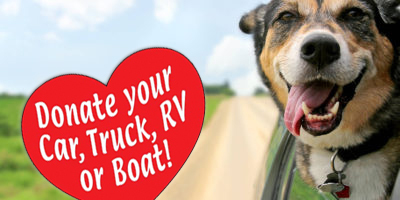 Humane Society of Sonoma County - Car Donation Services, Inc. Serving our community since 1931, the Humane Society of Sonoma County is a donor supported safe haven for animals. We’re dedicated to bringing people and companion animals together for a lifetime of love. The animals in our care receive medical treatment (including spay/neuter surgery), training services, and adoption assistance. We believe that no effort is too great when a life is at stake. With your help, we give hope to every animal. The Humane Society of Sonoma County is a no-kill shelter with two locations in Sonoma County; our primary Center for Animals is located at 5345 Hwy 12 West in Santa Rosa. In addition, our Healdsburg Center is located at 555 Westside Road in Healdsburg. The Humane Society of Sonoma County – ensuring every animal receives protection, compassion, love and care. Provides quality care and a safe haven for companion animals, finding each animal a loving home and providing education and outreach to better the lives of people and their pets.